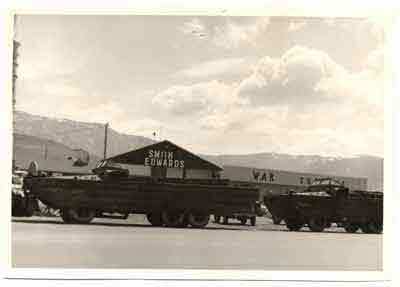 In 1947 Bert Smith and Lawrence Edwards began selling U.S. military surplus out of Bert's backyard in West Ogden. As shipmates serving together in the Marine Corps during World War II, Bert and Lawrence became good friends. Towards the end of the war, Bert and Lawrence were told that the military had decided to dump jeeps, tanks, bulldozers, and all kinds of equipment into the ocean, since it would be impossible or unfeasible to maintain after the war. This experience helped set the stage for their soon-to-be business venture. Upon returning home to Ogden, Bert discovered that the nest egg he'd acquired from the sale of his truck fleet before departing for the Marine Corps was still intact. His wife, Amelia, had saved every penny of it, getting by on government pay of $85/month while Bert served in the Pacific. She was the real hero of the business, letting Bert use all of their accumulated savings when he returned to buy surplus materials. As business increased, so did the need for space. 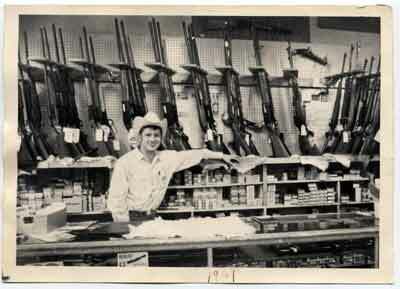 In the mid '50s, Bert purchased the 60-acre piece of land in Farr West where the store is currently located. The new location rapidly filled with surplus buys. In these early years, with a shortage of display shelving and an abundance of inventory, the infamous store slogan was born, "We have everything you want, if we can find it!" In 1962, Bert made a purchase that would have a tremedous effect on the future of Smith and Edwards. He excitedly purchased a large lot of Navy mooring buoys. Each buoy measured 58 inches in diameter, weighed 680 pounds, and held 442 gallons of liquid. Combined and stacked the 13,418 buoys covered several acres of land. It took twelve years, hauling nearly every day, to move the buoys from the Navy base in Clearfield (now the Freeport Center) to the Store. Bert saw tremendous opportunity in these rugged steel spheres; Lawrence's reaction was, "You're too wild for me, let's divide the business!" The two divided assets and parted as very good friends. Note the large stack of buoys (far right) and the old John Deere tractor dealership, once owned and operated by Jim Smith, immediately left of the buoys. 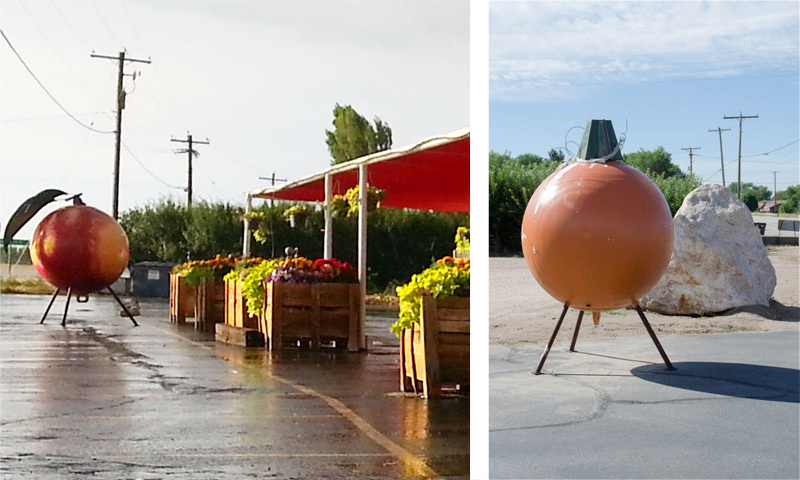 You can still find these buoys in local yards and businesses, like Pettingill's Fruit Stand on the Fruit Highway, Highway 89 - check out our visit to Pettingill's here. The evolution of Smith and Edwards was dramatically altered in the late '60s with the full time employment of Bert's eldest son, Jim Smith. Jim shared his father's passion for hard work and integrity. 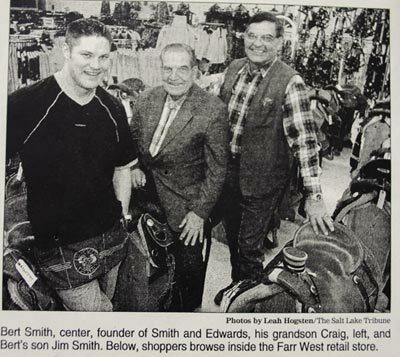 Jim managed the store, expanded product lines, and helped build Smith & Edwards into the business it is today. Jim will be remembered for his charisma, work ethic, fairness, and honesty. 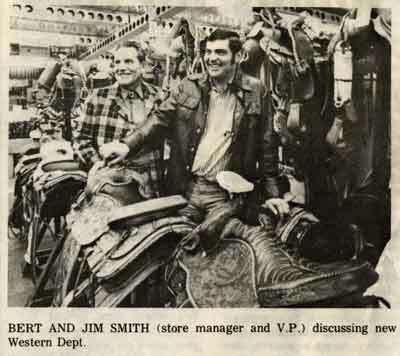 Bert and Jim featured in the ASD Profit News, February 1976. 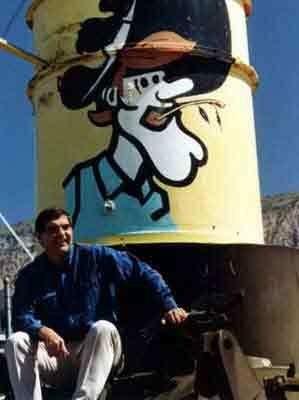 Jim sitting on the old WWII retriever tank that has distinctly occupied the store entrance, in the 1990s. Craig would take on his father's leadership role in the company in 2013 after Jim's passing. After Jim's passing in 2013, the Smith family established The Jim Smith Scholarship to support the educational needs of high school seniors in continuing their education. The Jim Smith Scholarship commemorates Jim's dedication to the Ogden Pioneer Days Rodeo and youth farm & ranch events throughout the Utah area. The scholarship is directed towards students involved in agricultural lifestyles, such as rodeo, 4H, or FFA. A copy of the scholarship application can be found here. In 1970 Mike Casey, Bert's son-in law, joined the team. Mike's passion and experience as an angler, hunter, and all round sportsman combined well with his leadership and sales ability and made for a perfect fit to manage the Sporting Goods Department. He was an amazing salesman and made many lifelong friends on the sales floor. Mike retired in 2016 after forty-six years of loyal service. In 1979, Smith & Edwards joined the Ace Hardware family, adding hardware, lawn & garden, paint, toys, and kitchen & home items to its offerings. 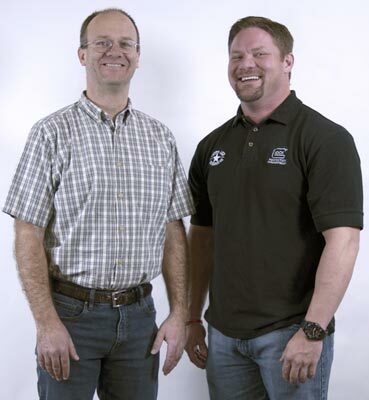 Although part of the Ace team, Smith and Edwards is still independent & family-owned. Smith & Edwards joins Ace Hardware every December in fundraising for Primary Children's Medical Center in Salt Lake City. 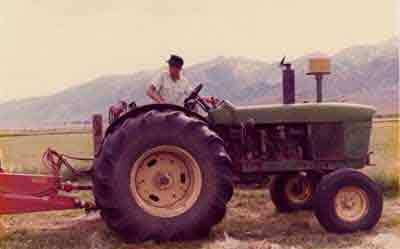 Steve Smith, Bert's youngest living son, spent most of his young adult years working on the family ranch In Ruby Valley, Nevada. In the early 1980's Steve was asked to give up ranching and help build Smith and Edwards' Footwear Department. Steve quickly added an appealing variety of athletic shoes and boots. Smith and Edwards lost its founder in 2016. At 96 years old, Bert Smith was still active in the business and his constitutional work. He was an inventive free thinker that enjoyed the business. Today, Smith and Edwards is three generations strong. Bert Smith's children and grandchildren continue to work for the business and making their contributions to its continued growth... as they raise the next generation. Craig Smith, a third generation Smith (Jim's son) carries on the family trade, leading the company as President since 2013. Craig oversaw the addition of the Web Store, the Garden Center, and the expansion of the Customer Service area. He was also instrumental in the purchase of the second location in West Jordan. Smith and Edwards employs over 100 amazing associates and is lucky to consider them as part of the extended Smith family. There are many longtime associates who have been with the company for decades and have contributed to the success of the store. They are the face of Smith and Edwards. Regardless of the tremendous competition from big retail stores, Smith and Edwards continues to grow and evolve. The combination of originality, sincerity, independence, local ownership, and knowledgeable associates has certainly added to the company's continued success. Departments within the 171,000 square foot store include Western tack sales and manufacturing, Western jewelry, clothing, coats, footwear, hunting, fishing, marine, water sports, toys, housewares, hardware, automotive, paint, U.S. and international military surplus, camping, backpacking, climbing, search and rescue, emergency preparedness, and an extraordinary selection of Dutch oven cookware. This is all in addition to the sixty-acre yard, which is filled with a huge assortment of military surplus... the "scrap" that started it all. 2017 marks seventy years of Smith & Edwards. 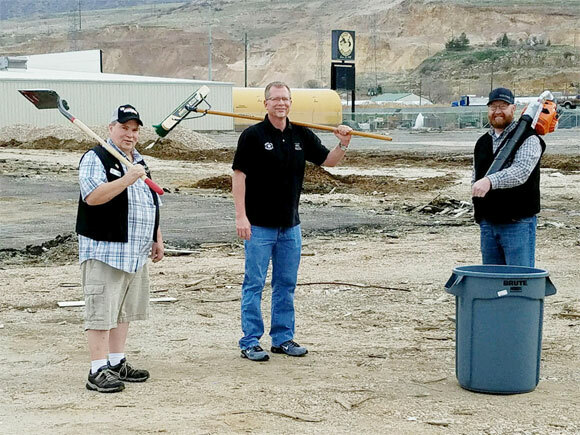 To celebrate, the store is undertaking a cleanup effort in the famous Yard, possibly for the first time in seventy years. The north portion of the Smith & Edwards Yard remains one big adventure of military & industrial surplus treasures. 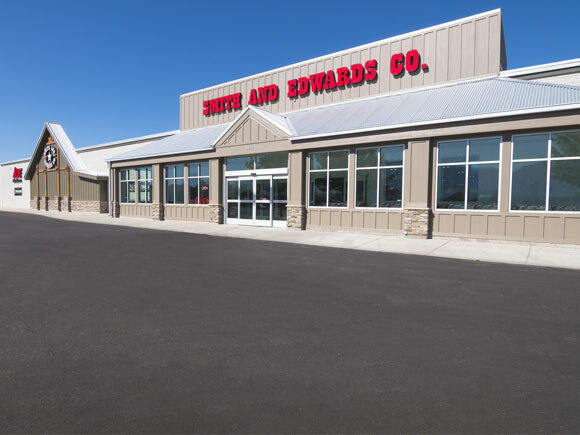 Additionally, Smith & Edwards opened its second location, in West Jordan, Utah, in August of 2017. Smith and Edwards is an ongoing supporter of local, and not so local, community events, with special involvement in various rodeos, fairs, 4-H programs, FFA, schools, scouting, Primary Children's Medical Center and other such programs. The Smith Family matches every dollar raised for Primary Children's - click here to read more about this program. 2007: Top Hand Award presented to Jim Smith, president, Smith and Edwards Co. by WESA. 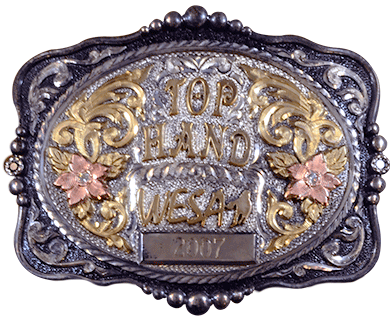 "In recognition of your outstanding contribution to the Western Lifestyle."